Federal Finance Minister Bill Morneau delivered the federal budget speech in the House of Commons on February 27, 2018. The federal budget reflects the priorities and future direction of the federal government. For this reason, National Chief Perry Bellegarde AFN representatives and officials work to ensure there are sustained efforts and influence on the federal budget. This includes meetings and engagement with cabinet members and senior government officials, and public advocacy. Along with these activities, the AFN participated in the parliamentary pre-budget submission process and submitted a chapter for the Alternative Federal Budget, released publicly in advance of each budget by the Canadian Centre for Policy Alternatives. All these efforts are aimed at informing the general public of First Nations priorities and building support for those priorities. On budget day, National Chief Bellegarde was in the gallery of the House of Commons to hear the speech. Budget 2018 includes a total investment of $4.76 billion over five years for Indigenous peoples and communities. This represents a running total of $16.6 billion in investments in the past three budgets. First Nations have successfully advocated for strategic and sustained investments that support the movement toward First Nations self-determination and self-government. Commitments made in this budget mark three years of solid response by government. $411 million in 2018-19 to help address the shortfall in funding for First Nations child welfare (total $1.4 billion over 6 years). $1.5 billion over 5 years for health, which includes $498 million and $97.6 million ongoing for critical care; $200 million with $40 million ongoing for addictions; $235 million for transformation to self-determined health systems; $490 million over 2 years for NIHB. $600 million over 3 years to support a 10 year housing strategy that is in development. $172.6 million over 3 years for investments in water and wastewater. $2 billion over 5 years and $408 million ongoing for the Indigenous Skills and Employment Training Strategy (ISETS, formerly ASETS). $101.5 million over 5 years for capacity building to help First Nations build strong governments and rebuild nations. For additional details on investments and investment areas please see the attached chart. This budget includes an important and overdue response to the Canadian Human Rights Tribunal ruling on child welfare, and the initial funding shortfall that led to the launch of the human rights complaint by the AFN and the Caring Society in 2007. Investments to protect and support First Nations children and maintain healthy First Nations families set a solid foundation for the future. Long-term investments in First Nations governments and infrastructure set a strong foundation for rebuilding our nations and mark continual movement in the right direction. We know the needs are great. Closing the gap in the quality of life between First Nations and Canadians requires continued strategic investments. 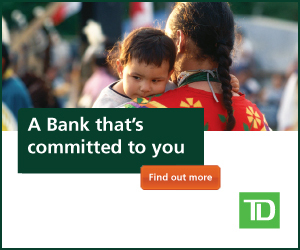 The AFN will continue to use all avenues to push for positive change based on First Nations plans and priorities. The attached chart provides additional detail and breakdown of investments. 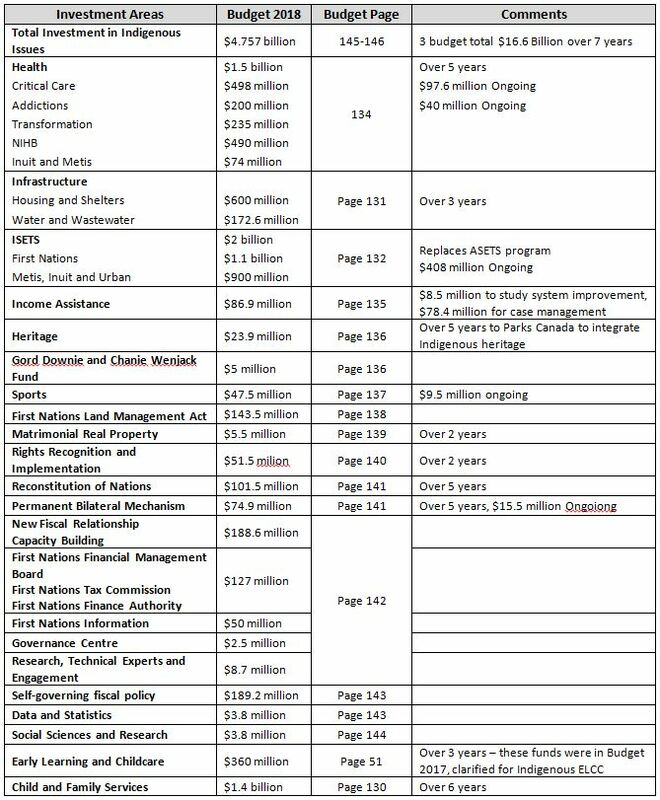 The AFN is doing a thorough analysis of Federal Budget 2018. We will make more information available in the coming days and weeks.